The innovative HYbrid4 technology is now offered with a 3rd body style in the Peugeot model range. After application to crossover and all road estate types, it is a saloon that now benefits from the unique abilities provided by the Full Hybrid Diesel. With CO2emissions reduced to 95 g/km combined with a high level of performance, the 508 HYbrid4 represents an unequalled offering in its segment. Peugeot is the precursor of the Full Hybrid Diesel. This technology, which is still unequalled in the market, was designed to be modular and adaptable to different platforms. 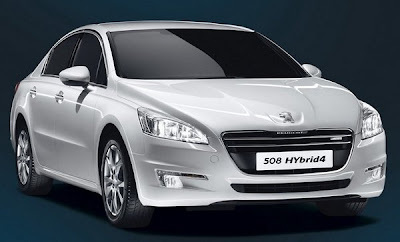 With this new offering in the 508 range, Peugeot gives a 3rddimension to HYbrid4. Indeed the performance provided by this innovative drive train, which is based on the virtuous association of a 2.0 litre HDi Diesel engine producing 120 kW (163 hp) and a 27 kW (37 hp) electric motor, will allow the 508 HYbrid4 to win new market share, particularly with BtoB customers or in countries where there are high fiscal incentives related to CO2emissions. 95 g/km CO2for 3.6 l/100 km (78.5 mpg)on the combined cycle. All of the qualities that contributed to the success of the 508 are of course present in this new model. Recognisable by a discreet badge on the grille, the HYbrid4 versions retains a streamlined, prestigious and dynamic appearance. On board, the control knob used to select the 4 driving modes (Auto, ZEV, Sport, 4WD), particularly well integrated into the centreconsole, underlines the high level of perceived quality that characterises the whole 508 range. The boot, with a volume of 355 litres of water (VDA 210 standard), retains all of its practicality in use, particularly thanks to its rectangular form. With its modularity preserved and 1/3 –2/3 split folding rear seats, the load capacity can reach close to 1 400 litres when use is made of all of the space in row 2. Finally, the recognised dynamic qualities of the 508 are increased with the HYbrid4 technologywhich offers 4 different driving experiences and which makes full use of Peugeot's suspension know-how (pseudo McPherson at the front and multi-link at the rear). So the 508 HYbrid 4 distils unique driving pleasure, of a new generation, combining dynamicemotion with environmental requirements. 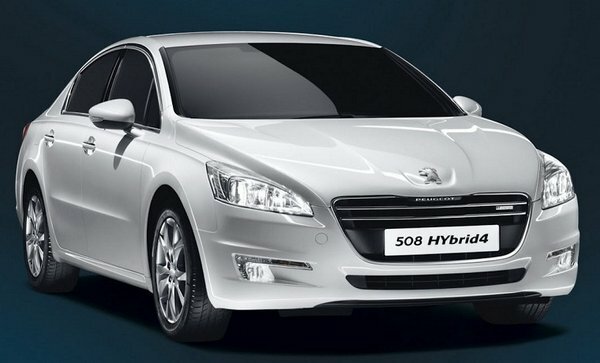 The 508 HYbrid4 is built at Rennes, in France, and will be on sale in Europe from June. Advanced orders have been taken in Holland and these amount to nearly1600 orders at mid-June 2012.